With high standards of engineering and project management, air cool engineering midlands has the in-house expertise to deliver on the most challenging and complex projects. 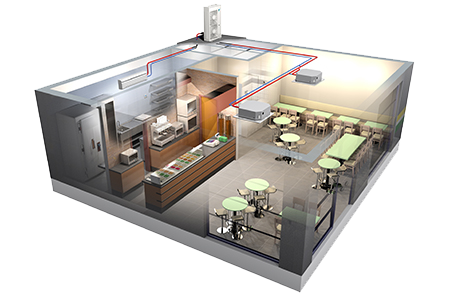 We offer quality service supplying and installing split, VRV & VRF and ducted systems to the commercial market – providing tailored solutions to meet cooling, heating and ventilation needs. air cool engineering midlands uses only the very best products manufactured by market leaders including Daikin, Mitsubishi Electric and Toshiba. As an accredited installer of these brands, new installations can be provided with up to a 7 year warranty. Each brand in their own right offer great returns on investment, delivering the best options in terms of operating costs, maintenance and flexibility of control. Ideal for small to medium sized properties, split and multi-split systems can operate up to 5 indoor units from a single outdoor unit – providing heating and cooling for year-round comfort. Operating with safe, stable and efficient refrigerants and incorporating inverter technology, these systems offer industry-leading performances and efficiencies. VRF are increasingly used as an alternative to traditional water based heating and cooling systems. 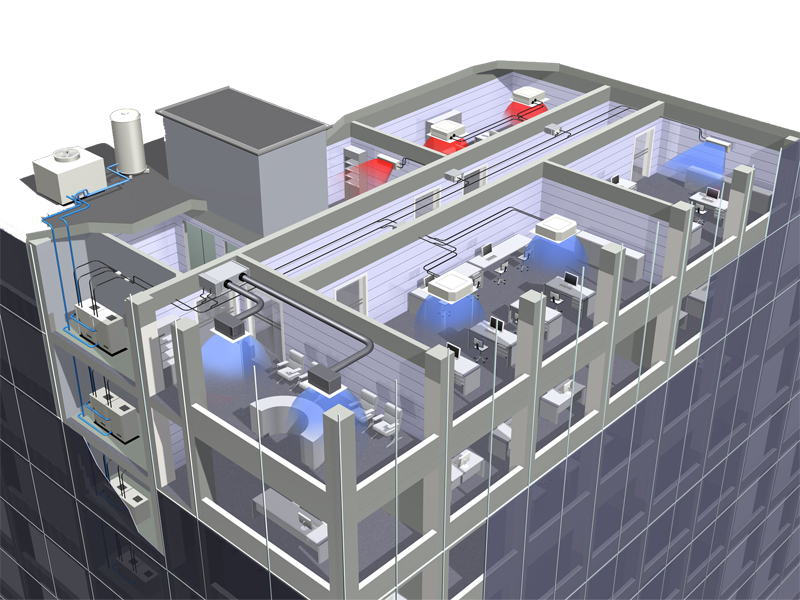 A VRF (Variant Refrigerant Flow) air conditioning system consist of a number of air handling units connected to a single external condensing unit and enable refrigerant flow to be altered through sophisticated controls. This allows the system to react quickly and efficiently to changes in the temperature required in the spaces covered – the temperature in each space is controlled individually.